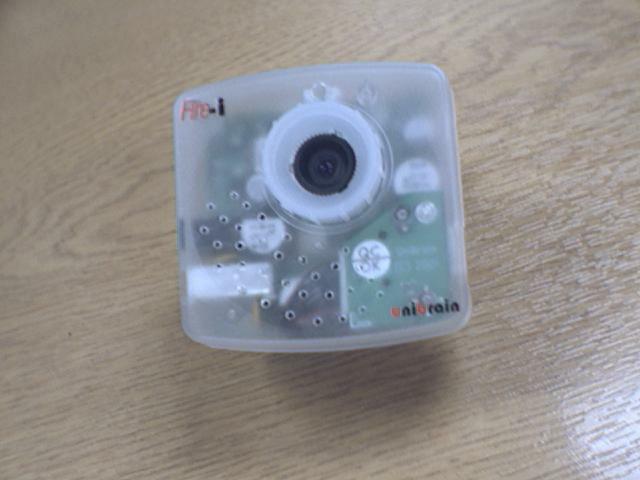 Low voltage mod for the Unibrain Fire-i camera. The Firewire (IEEE1394) specification specifies that devices must be able to accept power in the range 7--40V. Unfortunately, most laptop and tablet PCs offer at best unpowered Firewire. The only power source on offer is 5V from the USB port. The first thing tried was to power the camera off a variable voltage supply. Using this, I found that the camera statedt to fail at about 6.5V. 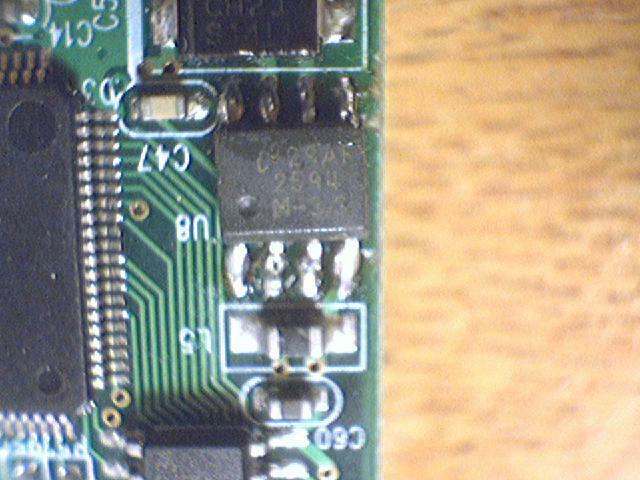 The chances were that the camera ran off a voltage considerably lower than 6.5V. 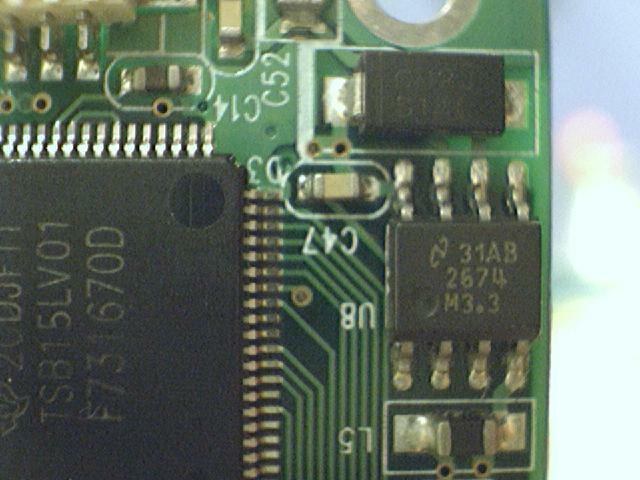 By poking around with a multimeter, I found that the camera seemed to be running off 3.3V (like many digital devices these days). By looking for the chip with a high voltage on one side (12V from the supply) and 3.3V on the other, I was able to find the regulator. The regulator happened to be a PN/National 2674M3.3. This is a pretty generic, cheap and cheerful switching regulator chip which (unsuprisingly) operates down to 6.5V. 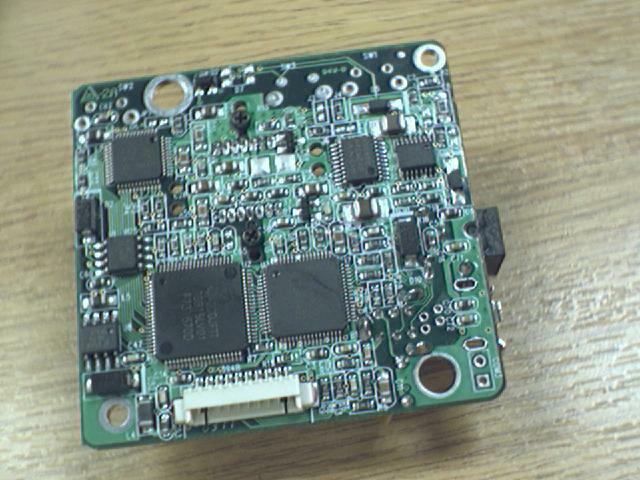 Fortunately, they make a pin compatible regulator, the 2594 which operates down to 4.5V. This regulator is only about 50% more expensive ($1.95, instead of $1.30). Replacing one regulator with another results in a camera which works off a 5V supply, but will work off powered Firewire as well. 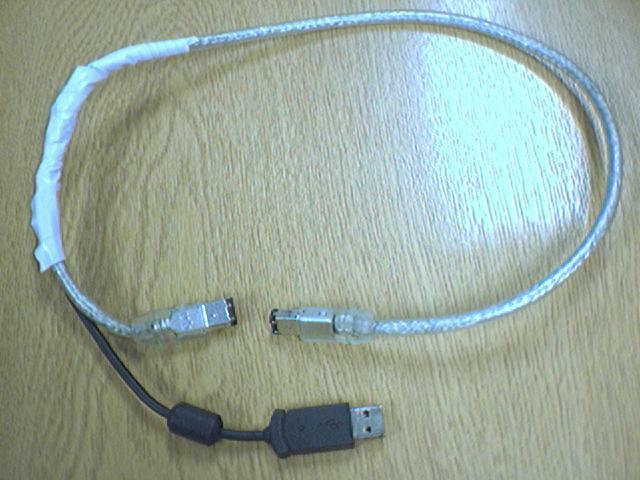 In order to make a camera which works off USB power, it is necessary to butcher a USB and Firewire cable so that the USB signals are discarded and the USB power is wired in to the Firewire power. Of course, if you were to mix the nasty power cable with a powered Firewire system, you would get very much what you deserve: that is one or more chips will probably die horribly. Anyway, here's what you've been waiting for all along: pretty pictures.